A committee dedicated to enshrining the memory of Amelia Earhart has requested a funding of $150,000 from the Saipan and Northern Islands Legislative Delegation to create a monument on Saipan. Last Thursday, a proposal was written for the local delegation by a representative of the Amelia Earhart Committee enumerated the reasons as to why a monument is necessary. The committee plans to build a 12-foot statue in Earhart’s honor on Saipan, where Earhart allegedly was imprisoned and died. “It is time for Saipan to acknowledge the presence of Amelia Earhart in 1937 and build a memorial monument in her honor…a 12-foot statue witnessing to the whole world that Saipan is the island where Amelia Earhart was known to have lived,” the proposal reads. The committee is requesting for $150,000 from the delegation to fund the statue. 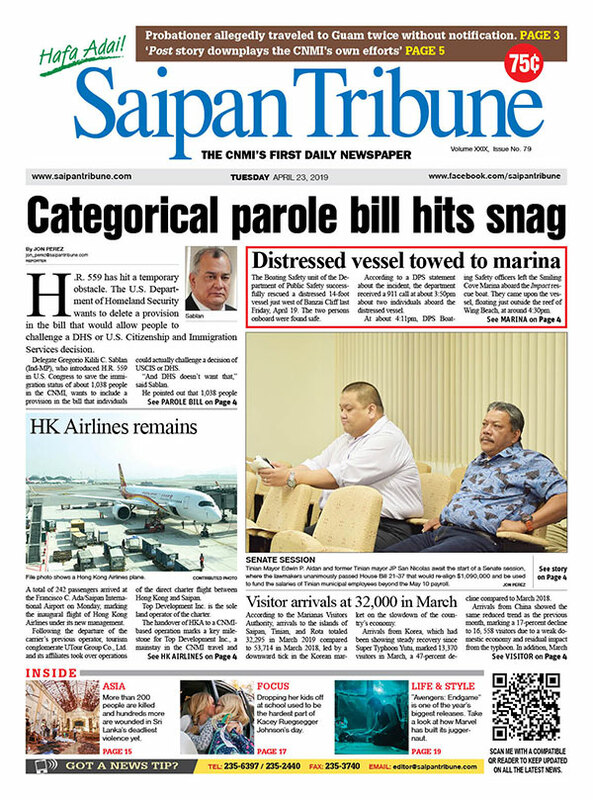 The committee believes that a 12-foot monument is crucial to have on Saipan for various reasons. According to Amelia Earhart Committee representative Marie Soledad Camacho Castro, her co-committee members believe strongly that the alleged historical theory that Earhart was held captive on Saipan should be acknowledged as an important historical event. In her letter Castro writes that Earhart’s accomplishments should be remembered on Saipan because this year marks the 80th year when Earhart’s plane allegedly crashed in the Pacific. “Amelia Earhart was a famous American pilot…Earhart was an accomplished woman…this year marks the 80th year when her plane came down in the Pacific,” wrote Castro. The committee believes that a monument will attract international visitors. “The memorial statue would be an international media eyewitness account and a significant visitor site,” she wrote.